Bartitsu, a form of mixed martial arts using a cane, umbrella or even a bicycle, was the brainchild of a Victorian gentleman by the name of Edward Barton-Wright. An engineer by profession, Barton-Wright travelled to far-flung places across the globe. During a trip to Japan, he was rather taken with a demonstration of jujitsu and quickly took it up himself before learning a smattering of Judo too. The Victorian era often evokes glamorous images of gentlemen in crisp tailcoats and top hats and ladies with crinoline dresses and lacy parasols. However, the dark streets of Victorian towns and cities were often fraught with danger as footpads, fogle-snatchers and street gangs lurked in the shadows, intent on removing you of your valuables. Indeed, it could be said that a gentleman of breeding took his life in his own hands when treading the dangerous path across town. This did not go ignored by the newspaper editors keen on selling their latest edition, running lurid stories on the latest exploits of street gangs including Hooligans in London, Cornermen in Liverpool and Scuttlers in my home city of Manchester. 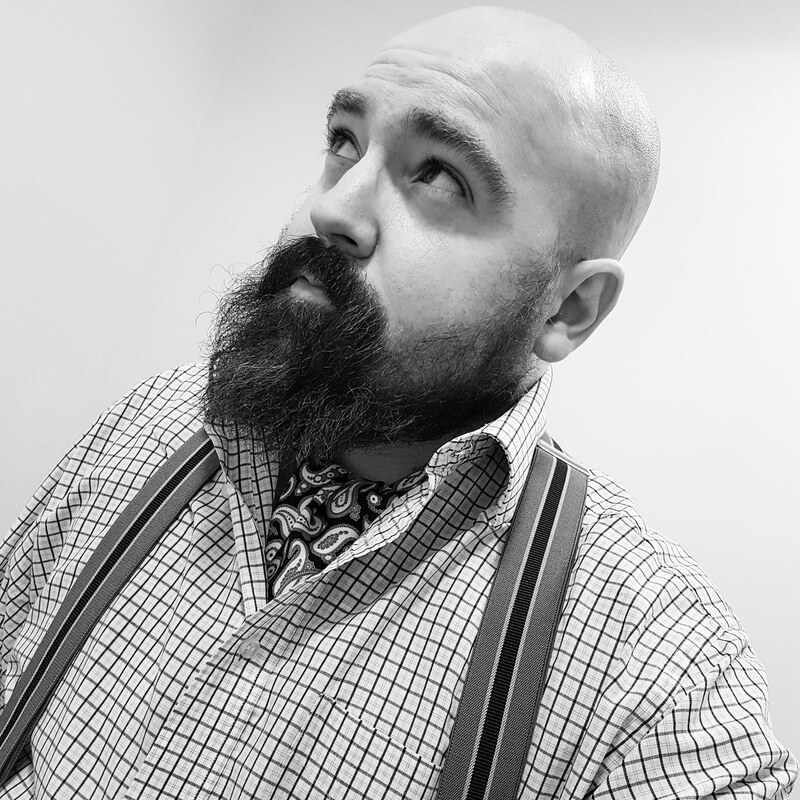 Aware of the panic and fear spreading across Blighty, Barton-Wright returned to London with a scheme to help the upper classes deal with malodorous street urchins, horrible little proletarians and dreadful razor-wielding lunatics. Barton-Wright was a pioneer, a man ahead of his time. He developed a form of mixed martial arts, combining fisticuffs (scientific boxing), low kicking, wrestling, jujitsu and self-defence using whatever you have to hand. Unveiling Bartitsu to the world in 1898, Barton-Wright had developed a means for the ladies and gentlemen of London to beat ruffians at their own game. Promoted via lectures, articles in Pearson magazine and contests, similar self-defence schools soon sprung up all over the great city, with Barton-Wright’s Bartitsu method leading the pack. Indeed, the martial arts craze caught the attention of writer Sir Arthur Conan Doyle who used Bartitsu to explain the escape from death of his famous fictional detective, Mr. Sherlock Holmes (though Conan-Doyle mischeviously spelled it Baritsu). Sadly, Barton-Wright’s School of Arms closed down in 1902, apparently owing to the costly tuition fees and a possible disagreement with an instructor. 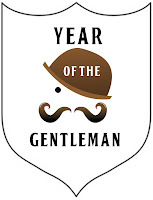 Thanks to Sir Arthur Conan Doyle’s famous, cryptic reference, this gentlemanly art of self-defence is still remembered more than one hundred years later. Indeed, a form of it was included in the Guy Ritchie film interpretation, Sherlock Holmes. There is a website dedicated to Bartitsu with a small number of schools running around the world. I for one would love to learn this gentlemanly form of self-defence should one ever sprout up in Manchester. Who knew a bicycle could be such an effective weapon? 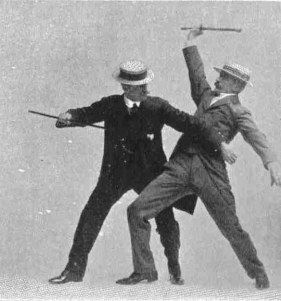 I will leave you with this mini-documentary by the Bartitsu Society. I've been a long-time follower of the Bartitsu school of self-defence as well and would very much like to graduate to practitioner too if the opportunity presented itself (I understand there has been talk in the Bartitsu Society for some time about holding a weekend-long seminar/workshop in London, somewhere near Barton-Wright's original gym, but whether anything has/will come of it...). Thank you, old boy. It's lovely to find another person who is such a fan of the Bartitsu method. Based on your recommendation, I have placed an order for the charming little book. I am rather excited, I must confess! @Bruce Partington-Plans - the Bartitsu Society held the first international Bartitsu School of Arms and Physical Culture seminar in London during 2011, and will be holding the third SoA at the Beamish living history museum near Newcastle in September of this year: http://www.bartitsu.org/index.php/about/the-bartitsu-school-of-arms-beamish-museum-2013/ . I am truly honoured that you have stopped by, sir! 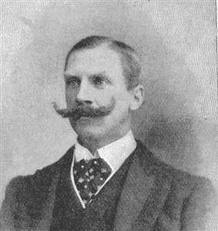 I tip my hat to you in recognition for your sterling efforts in preserving Bartitsu and the name of Edward Barton-Wright. The Bartitsu Society is simply marvellous. Kickboxing, Muay Thai, Taekwondo, Karate or MMA, two of the most devastating kicks are prohibited and so rarely if ever trained.